Alliums, appearing in early summer, are the beloved darlings of every Chelsea Flower Show in recent memory, and with good reason! They are elegant, colorful and provide a wonderful contrast of form in mixed herbaceous borders. 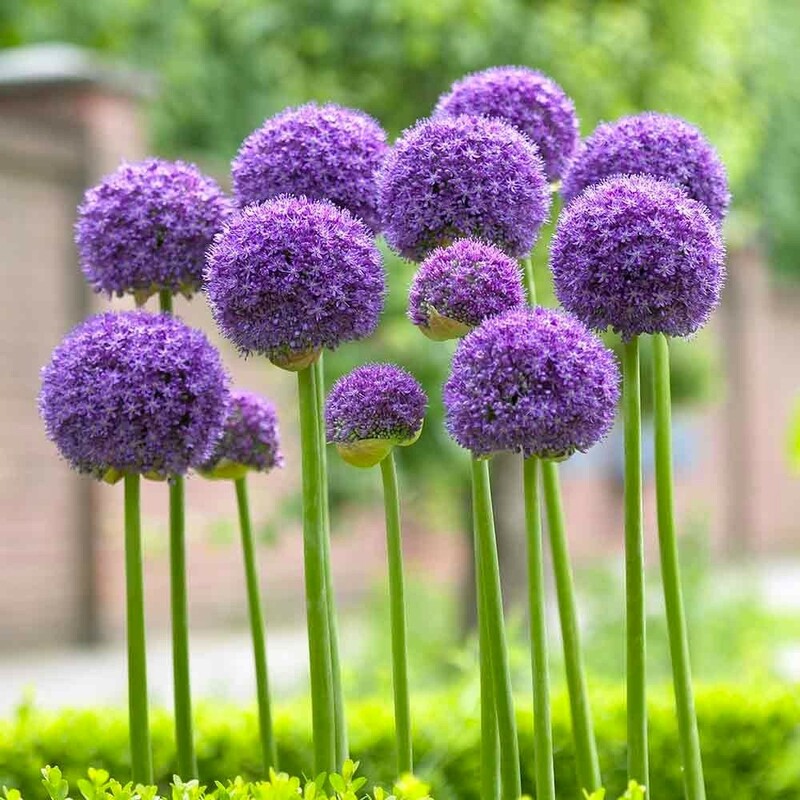 Alliums such as Gladiator are also suited to modern plantings as well as the more traditional, the deep colour adds depth to many schemes. Alliums will also hold attention long after they have faded with their structural seed heads. 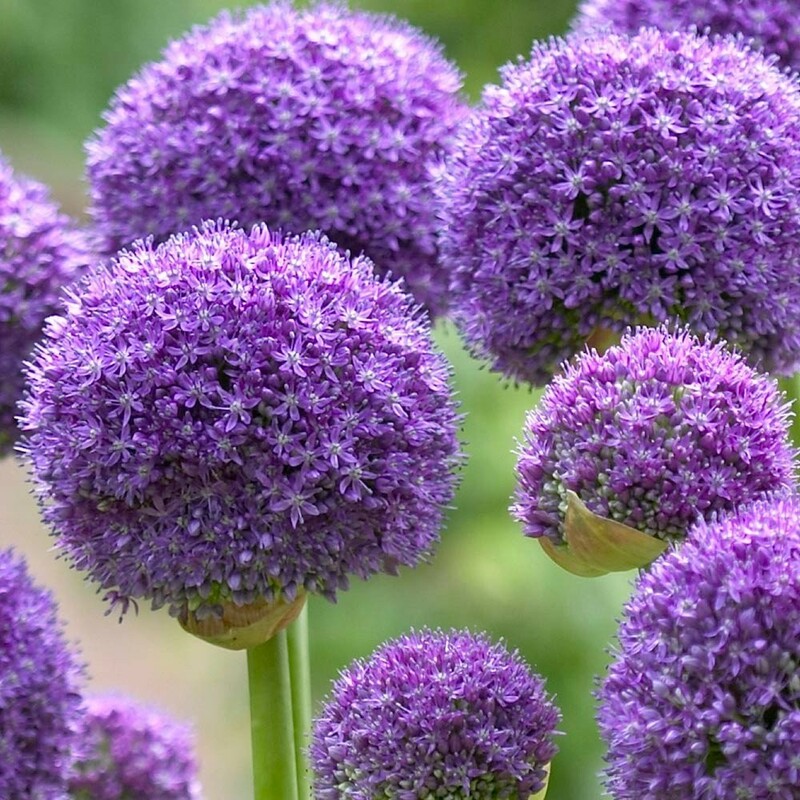 Allium Gladiator is one of the best for adding variety of form and colour to borders and mixed beds, with metallic-purple blooms from May on wards, the large balls of blooms appear atop meter tall stalks that soar up from a base of broad-leaved foliage. Pack of THREE, each supplied in approx 1 litre containers.